​Day 1 - Psychosomatic Breakthrough. Introduction to Psychosomatic Therapy, course overview of objective and goals. * The evolution of Body-mind medicine ... understanding our own Body-mind. * The role of Psychosomatic Therapy. Day 2 - Learn to read Faces. Learn how your life story and soul potential is written all over your face. In this process you will truly face yourself, which empowers you to uncovering the masks the prevent your full potential to shine through. *The face is the autobiography of life : structure = performance. * Understand how the Chakra system represents within the faceThe three zones and left right separations display unique characteristics. * Give and receive a face reading. Day 3, 4, 5 - Body Mind Analysis. You will never look at people the same way after this course. We observe the bodies alignment, balance, position, presentation and responsiveness as a guide to a persons personality, their special gifts, life challenges and life experiences. We expand from the face to look at the entire body. Objective observation teaches a new way to see the body. Here you learn all the individual parts and what to look for when interpreting how our biology is our biography. Interpreting the body shape, form and structure is to uncover the Souls purpose and the individuals unconscious mind. 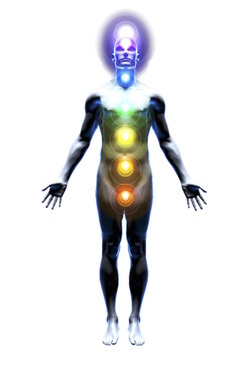 chakra area or energy center in the bodymind. *Observe size, tone, texture and temperature of the individual body regions to interpret one’s energetic response to life. *Determine energy flow by assess alignment and posture. *Learn the energetic blueprint of your constitution. Day 6 - Language of the Hands. Learn how the hands are an extension of your heart and reflect the whole body, mind, spirit connection. Each finger shape and form tells about how you are expressing another level of your personality potential. feelings of the body, mind and spirit! * Participants receive and complete a detailed reading of the hands. Day 7 & 8 - Emotional Anatomy. Anatomical Structure is the basic archetype of thought and experience. Lean how emotional anatomy creates physiology. muscles, release the redundant tension of cellular memory. *Authentically connect and communication with others by understanding the meaning behind the bodymind. *These techniques clear old patterning in the body-mind, creating space for harmonious attitudes and a greater sense of freedom in form. Day 9 & 10 - Integrate everything you have learnt over the past 8 days and share this beautiful gift with someone outside of the training. These days allow you to process, ground, anchor and refine everything you have discovered. *Read and interpret someone else’s unique body-mind experience. Consult and identify your clients underlying emotional health, mental habits, attitudes and feelings that contribute to Psychosomatic diseases. To gain full accreditation, students will display and accomplish various forms of Psychosomatic consultations with practise clients whilst under the supervision of their Teacher. You can achieve the Nationally Registered Certification III in Psychosomatic Therapy by completing the log book requirements after a 10 day training. Log book hours are to be completed within 12 months from completion of the 10 day training. If you choose to complete the course for personal development the log book hours are not necessary and you will receive a certificate of attendance.